Site Map ... | ... Testimonials ... | ... On-line Request .. .| ... Contact Us .. 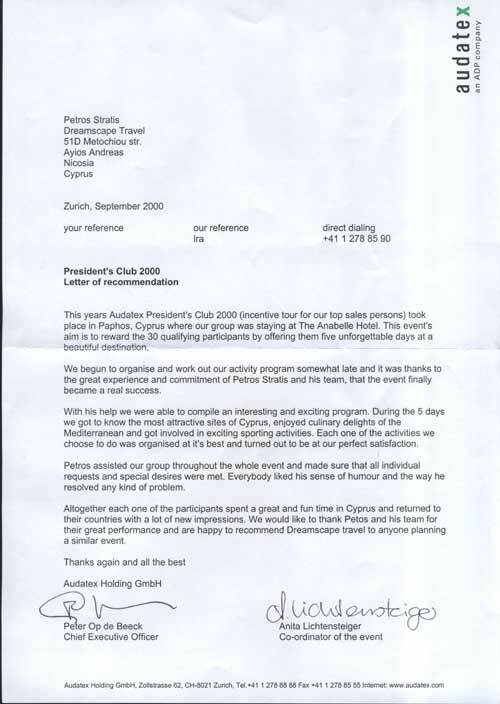 This year Audatex President's Club 2000 (incentive tour or our top sales persons) took place in Paphos, Cyprus...! 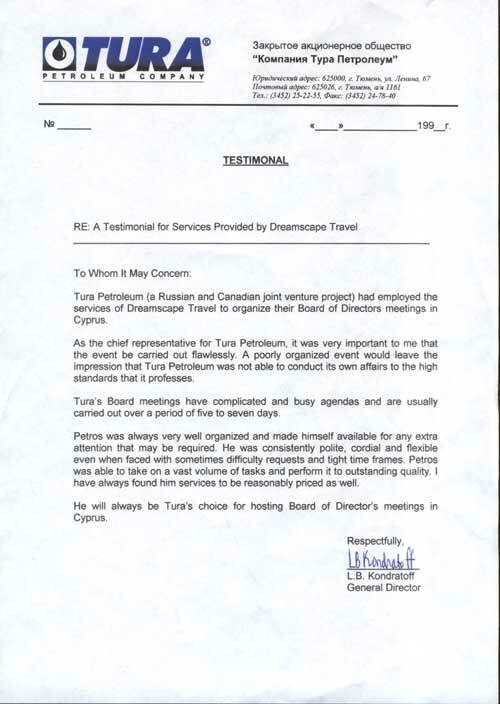 ...He will always be Tura`s choise for hosting Board of Directors`s meetings in Cyprus.